Bandoneon a Bordo: This tour company takes you out on a boat where you get to enjoy small intimate tango shows. They offer day trips, night journeys or 2-day expeditions and are perfect if you want to kick back and relax as you discover the region. 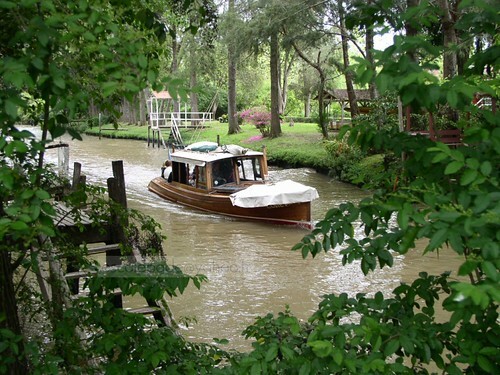 Selknam Canoes: If you would rather try a more dynamic exploration you can take a trip with Selknam canoes and paddle in a handcrafted wooden Canadian boat through the beautiful Tigre canals. They offer two-hour day trip tours, night tours and custom made tours. Delta Unplugged: If you want to combine some sailing with homemade meals by a swiss chef and nutritionist, then Delta unplugged is for you. These tours are led by a couple who welcome you first to their home for a homemade breakfast and then take you out to explore the canals whilst tempting you with some more food on the way.